U.S. wireless provider T-Mobile has posted its latest quarterly results, seeing a double-digit increase in earnings, a 165 percent increase in net income, and improved customer retention, partly on the strength of Apple's iPhone 7 launch in September. In the last quarter, T-Mobile gleaned $9.2 billion in total revenues, with $7.1 billion of that from services. The company has added 2.0 million customers, leading to 13% service revenue growth, and $366 million in net income. The latter figure included a one-time number of $122 million in spectrum gains. In the second quarter of 2016, the company posted net income of $225 million. It reported $138 million in the third quarter of 2015. T-Mobile's total revenues for Q3 2016 grew by 18 percent year-over-year. The increase was attributed to the combination of the launch of the iPhone 7 in the quarter, the introduction of the T-Mobile One plans, and an increase in branded prepaid customer migrations to postpaid plans. On Sept. 12, T-Mobile CEO John Legere declared demand for the iPhone 7 a "phenomenon," and said that preorders thus far have been "like four times bigger than the iPhone 6." 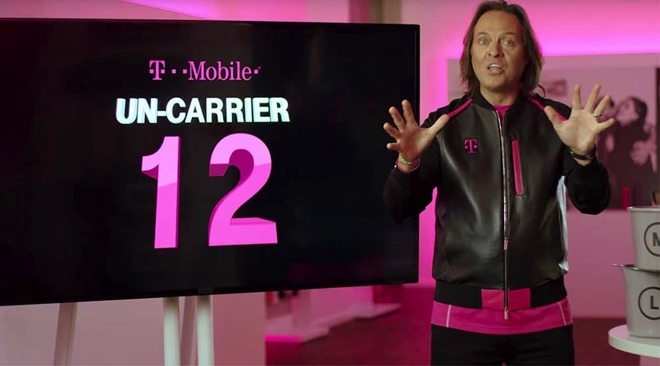 "The first four days of the iPhone 7 launch are by far the biggest ever for T-Mobile," Legere said. "I actually ordered the jet black, I'm quite excited about it." Apple will not be breaking out individual sales figures of the iPhone 7 family in Tuesday's earnings announcement. Last year, the iPhone 6s and iPhone 6s Plus sold through 13 million units in three days of availability.